Avail the offer avail the benfits for 5 kW ON GRID SOLAR ROOF TOP SYSTEM. Hurry, Limited time period. 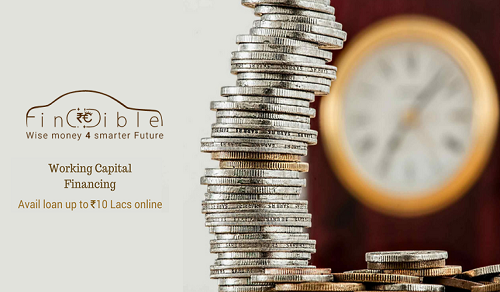 Avail the offer avail the benfits for 10 kW ON GRID SOLAR ROOF TOP SYSTEM. Hurry,Limited time period. Rechargeable Lithium ion battery cycle 5000 times more compare to just 400-500 cycles in lead acid battery. A solar home lighting system (SHLS) provides a comfortable level of illumination in one or more rooms of a house. There are several SHLS models featuring one, two, or four luminaries based on White Light Emitting Diode (W-LED. PV module converts sunlight into electricity, which powers the luminaries. These batteries are assembled in PPCP containers with plate holding cradles with tubular positives and lattice grid pasted negatives made with special lead alloy for minimized gas generation during service. Survive for long power cuts. System Include : Solar Panel, Fan, Lithium Ion battery and Charge Controller. Our solar-powered backpacks have 6 watt solar panel attached to the outside of the pack so you can harness the sun's rays to charge your cell phone, power bank, emergency lights or MP3 player. The panels are lightweight, waterproof and can produce up to Six watts of power. System is supplied in the form of kit. Conditioning Unit with MPPT Charger and Solar Priority. Control and Protection Box and Accessories required for installation. System Includes: solar modules, inverter, charge controller etc. 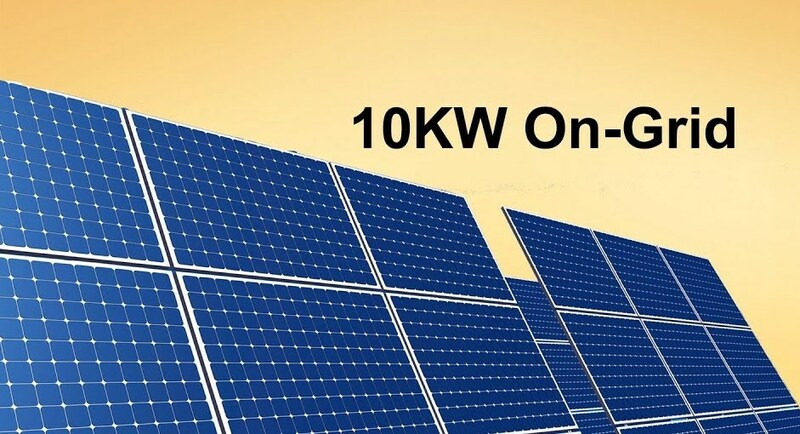 System Includes: solar modules,Battery, inverter, charge controller etc. Getting worried about chilling water in the winters or Electricity bills due to electric geyser. 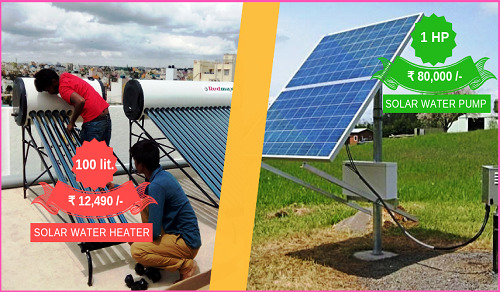 Put our Quality assured solar water heater and get freedom from electricity bills or fuel and no fumes. These water heater solutions are perfect for Residential, institutional, industrial water heating and run without any power supply. System items included : Solar Module,Solar Pump Set along with Charge Controller, Balance of system. System items included : Water pump, Motor and Inbuilt MPPT Charge controller. 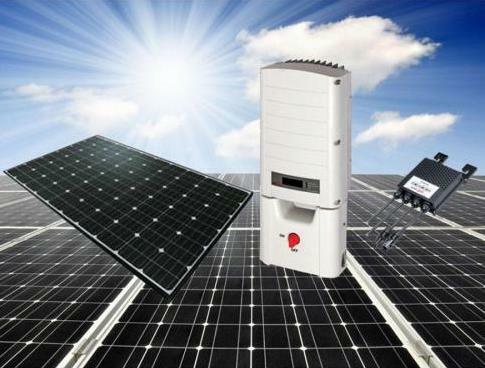 System items included : Solar Module,Solar AC Pump,Charge Controller,Solar Inverter and M.S. Static Structure. System items included : Solar Module,Solar Pump Set along with Charge Controller,Solar Inverter and M.S. Static Structure.